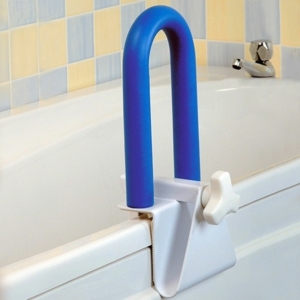 Grabs rails may traditionally be placed in the bathroom and toilet, but they can be used pretty much anywhere in the home to provide support. 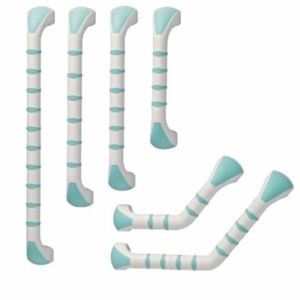 They can help push up or pull to stand up, provide steadying support whilst sitting down, give a firm grip when transitioning from one position to another and provide balance when standing walking or dressing. 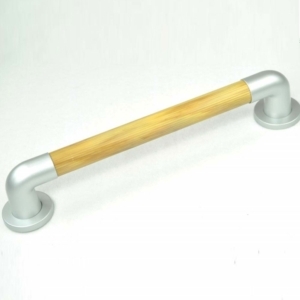 Shop Millercare’s range of hand rails and know that you’re being supported by a range of professional and quality bars that can be positioned in a number of different places around the home. Below you’ll find a fantastic choice of products with competitive prices that aim to give you nothing but complete customer satisfaction. Browse our product range below now and find the right support for you in your home. 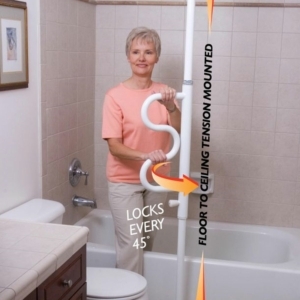 Extra support and comfort are the main reason to install grab rails in your home, and Millercare has a variety of products to ensure you have what you need. Whether it’s in the bathroom, toilet, kitchen, hall, stairs or even outdoors, they can make all the difference to moving around and in and out of your home. These hand rails have been designed with protection and ease in mind, crafted in different materials and textures to aid your grip. 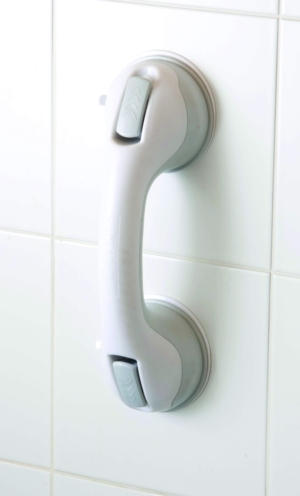 Their water resistant nature and strong grip also make them perfect for use outside the home and in wet environments like the bathroom, allowing you to move more freely around your home. 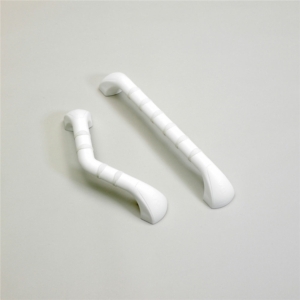 For those who require assistance when entering a doorway, using the stairs or sitting down in your living room, these bars give a little independence back to the user and won’t break the bank either with prices starting from as little as £7.45 (excluding VAT). 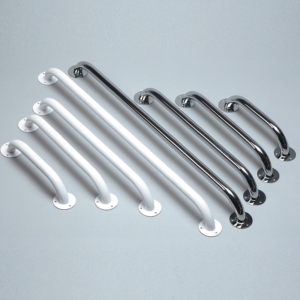 There are different types of grab rail, and having a combination of vertical and horizontal rails is often helpful. We also have a selection of different finishes too, to suit the particular style of your home. Finished in chrome, white, black or wood, there’s something to blend seamlessly with your interior or exterior. 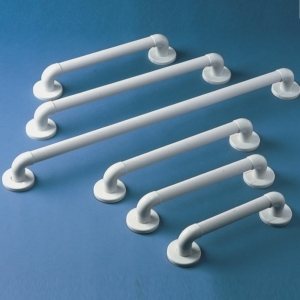 The range of suction rails is ideal for those who are looking for ease when it comes to installing grab rails. 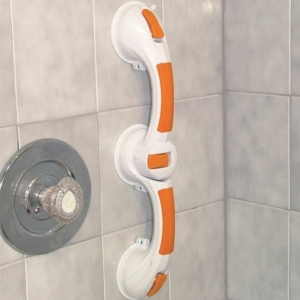 The release levers make it quick and easy without the need of tools or professional installation. Plus, they leave no damage – ideal if you’re living in rented accommodation. 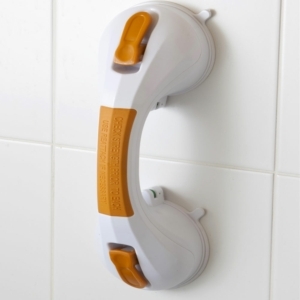 The large suction cups provide an extremely strong hold on most surfaces and they’re portable too. 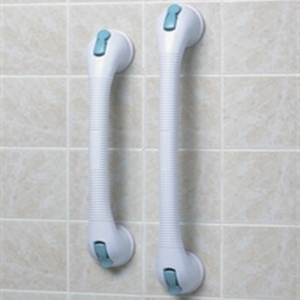 The Dual Rotating Suction Grab Bar with Indicator is a particular standout in portable rails, as the colour indicator shows that it’s either a ‘safe secure’ suction or ‘re-affix’ suction, so you know that you can rest your weight on the rail. Avoid slips and falls with the installation of a hand rail in the home, and move around with ease and safety knowing there is something that can help aid your movement and balance. 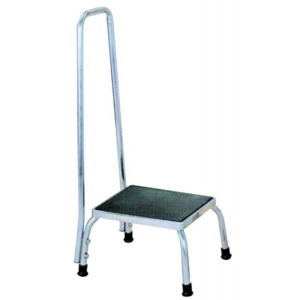 Millercare knows that you need products that are high quality and affordable, and that’s exactly what you’ll find with these hand rails and bars.